CLEARWATER, Fla. -- Florida State League President Ken Carson today announced his plans to retire following the 2019 season after what will be his 43rd year in professional baseball. Carson took over as President of the Florida State League prior to the 2015 season after 38 years in various roles in the Toronto Blue Jays organization. "This was a very tough decision as my time in the Florida State League has been one of the best experiences of my life," said Carson. "I want to thank all the Florida State League directors for all their help and cooperation, Pat O'Conner, the Toronto Blue Jays, and especially Paul Beeston and Pat Gillick for all their guidance over the years." "Ken Carson has had a storied sports career and his career in baseball covers just about every imaginable step in the sport, from athletic trainer to front office executive to league president," said Minor League Baseball President & CEO Pat O'Conner. "Ken has had a great impact on his teams, players and others around him and will always be remembered for his positive attitude, quick wit and fierce loyalty. I congratulate him on a terrific career and wish him an enjoyable retirement." "The Florida State League has been fortunate to have had the leadership role of president filled by Ken Carson for the past four years as his experience and love for professional baseball, and particularly the Florida State League, will be difficult to replace and sorely missed," said Philadelphia Phillies Director of Florida Operations John Timberlake. "Ken has set a fine example of professionalism and love for the game for all of us in the league and we wish him the best in his final year of service and his future retirement." Carson began his career in professional sports as an Athletic Trainer for his hometown Barrie Flyers of the Ontario Hockey League (OHL) from 1956-60 before joining the Niagara Falls Flyers (OHL) as their Athletic Trainer from 1961-64. Carson served as the Athletic Trainer for the Rochester Americans of the AHL for two years (1965-66) before joining the Pittsburgh Penguins for 10 years (1967-76). Carson began his career in baseball in 1977 when he was named Athletic Trainer for the Toronto Blue Jays, a position he held through the 1987 season. In addition to his athletic training duties, Carson served as the Traveling Secretary for the Blue Jays during the 1979-87 seasons. Following the 1987 season, Carson was named Director of Florida Operations and General Manager of the Dunedin Blue Jays, positions he held through the 2010 season. From 2011-14, Carson served the Blue Jays organization as a consultant and served as Vice President of the Florida State League. Carson also represented the Florida State League on Minor League Baseball's Board of Trustees from 1992 through 2014. "What a career Ken has had in professional sports, working on the minor league level and major league level in two different sports," said Randy Mobley, the President of the International League and Chairman of the Council of League Presidents. "Ken stepped into the role of Florida State League President with a broad background of experiences and it was not hard to envision the success he and the league would have during his tenure. 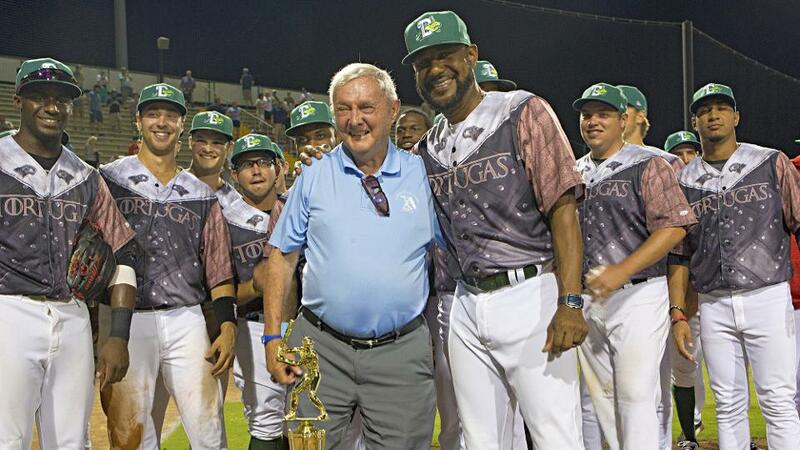 Ken has been a valued contributor to the Council of League Presidents as a member of the Game Operations Committee and I know I speak for all members of the Council in congratulating Ken on his pending retirement and wishing him a very memorable final season at the helm of the Florida State League." "Ken has had a wonderful career in professional sports and his efforts as President of the Florida State League are greatly appreciated," said Detroit Tigers Director of Florida Operations Ron Myers. "Ken treated all clubs in the league fairly and equally and his successor will have a tough act to follow." Carson and his wife, Lillian, were married in 2012 and have eight children and 23 grandchildren. They reside in Dunedin, Florida.